For many people entertaining and eating is done right in the Kitchen. This is an important focal point for not only your guests but also potential buyers/renters. Giving your kitchen a facelift could be just the thing it needs! I know, easier said than done, considering the cost not everyone has thousands of dollars to spend on a new kitchen. 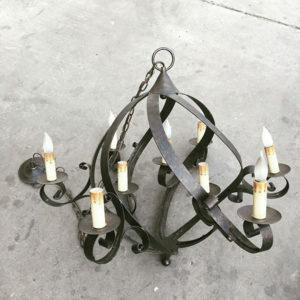 Using salvaged items not only adds character but also allows you to go green while trimming your budget. Here are some ideas that will take your kitchen to the next level while maintaining your budget. Hard to imagine a door somewhere besides a doorway but, solid wood doors are great for any upcycle project! They provide character and durability, making them perfect for your kitchen island. It can act as the top, side, or even both. Making sure you choose the right type of door for this project is important. A solid wood door will be ideal, for it will maintain its structural integrity if you need to trim or cut it down. Credit: Tania. 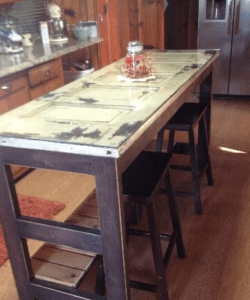 Kitchen Island Made From an Old Door…. Digital Image. Home Talker. Adding pizzazz to your kitchen can be as easy as swapping out the centerpiece. What’s the centerpiece you ask? Your faucet. 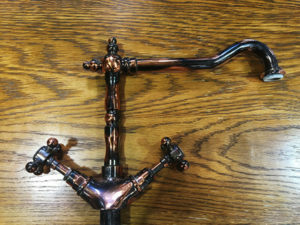 There are tons of different styles to pick from so always keep in mind the rest of the hardware when picking your new faucet. This may even make your dishwashing more enjoyable! Your kitchens backsplash is considered the personality of your kitchen, so weather you want to replace it or put one in, this will help spruce up the wall and also provide an opportunity to be creative. Creating this focal point can change the whole look of your kitchen while staying economically friendly. 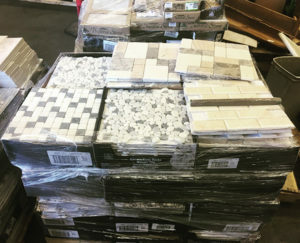 We have a great selection of excess or never installed tile for you to choose from! Deciding your cabinetry may be the biggest decision when it comes to upgrading your kitchen. Upgrading your outdated cabinets can make a big difference with the look of your kitchen. This may sound like an expensive hack, but with our wide variety of cabinets, it will fit right into your budget and style. Still not in your budget? Consider mixing and matching your current cabinets with like new ones. For example, rehab the lower cabinets while replacing the top cabinets; this will create a major change without a major dent to your budget. Does your kitchen look dull and dingy? Creating a warmer, natural look in your kitchen will tie everything together. 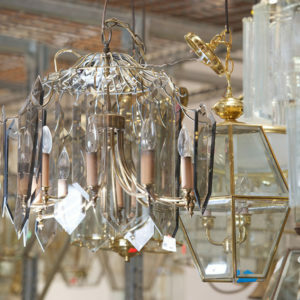 Focus on light sources that do not require electrical work but simply the change of a fixture (this will save you money and time). Plan carefully; for lighting is another fixture you’ll want to make sure flows with the style of your kitchen. You’ll be delighted with the dramatic change this can make. 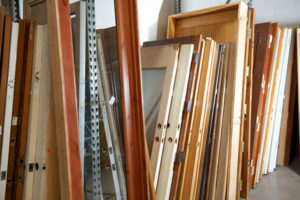 We carry a wide variety of reclaimed material for reuse. 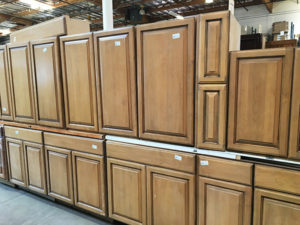 You will be able to find appliances, lighting, fixtures, cabinetry, doors, and more at a discount. This will allow you to create your dream kitchen within your budget, while helping us contribute to the sustainability of the community.